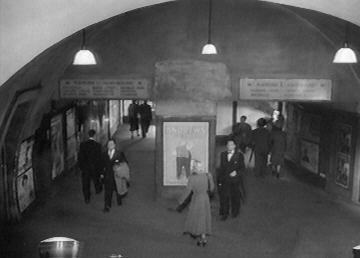 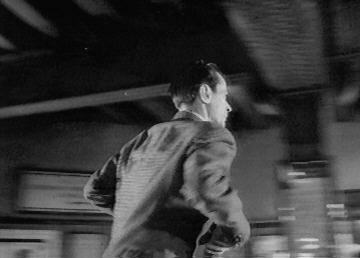 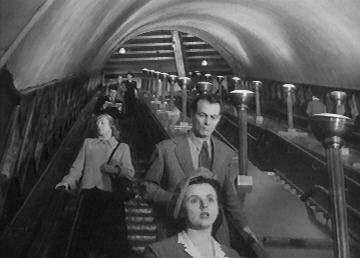 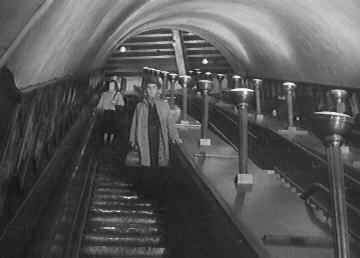 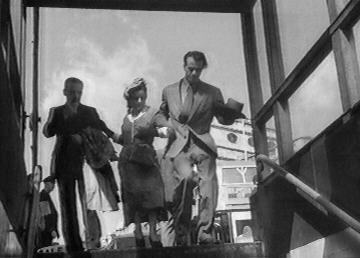 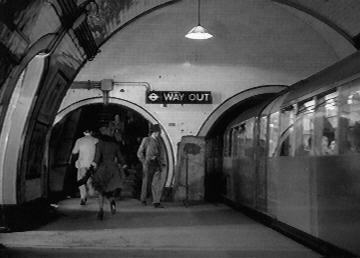 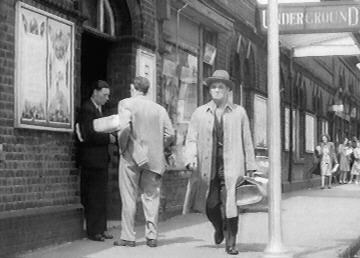 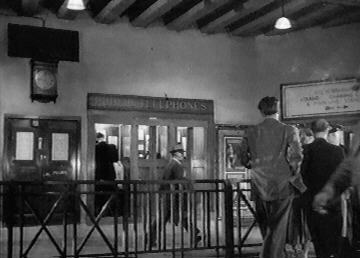 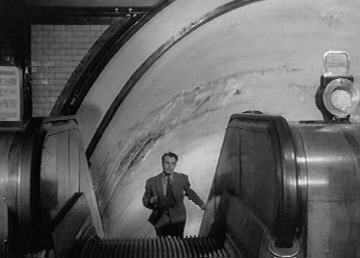 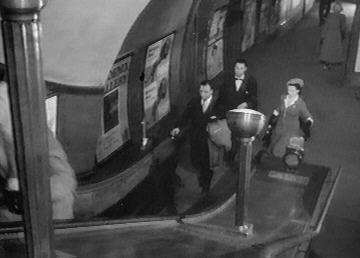 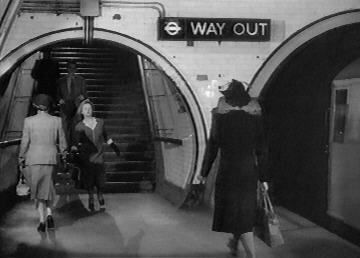 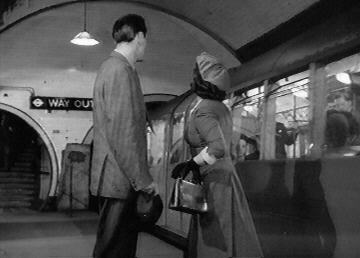 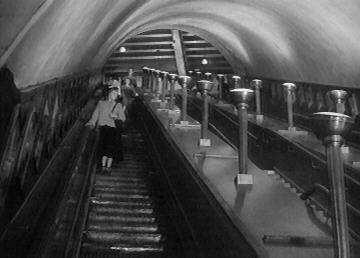 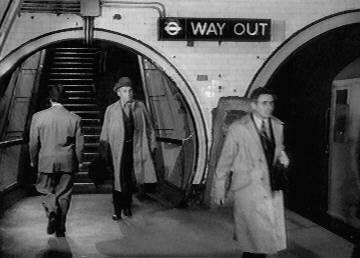 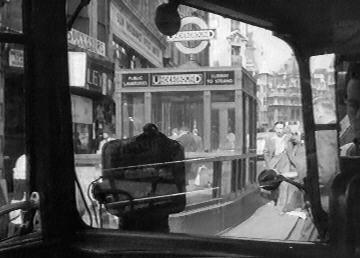 In the Boulting Brothers' understated documentary-style tale of an errant nuclear scientist, Professor Willingdon (Barry Sloane) is spotted by his daughter (Sheila Manahan) and her boyfriend (Hugh Cross) entering the Cockspur Street subway entrance to "Trafalgar Square" Bakerloo Line station. 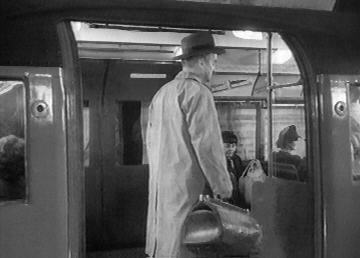 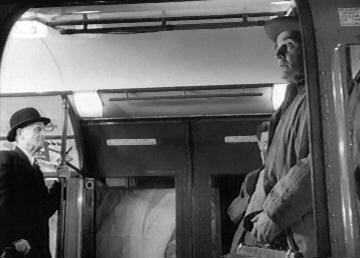 They rather quaintly pause to buy tickets, and subsequently lose their quarry when he catches a northbound train. 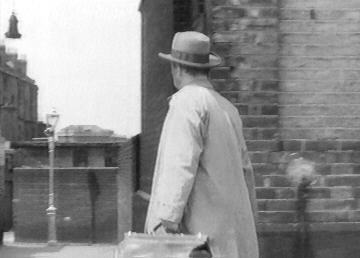 He is eventually seen leaving by an unknown station (any suggestions?). 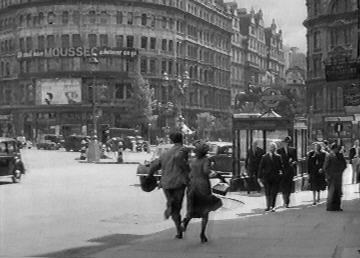 "Trafalgar Square" was later amalgamated with the existing "Strand" Northern Line station and the new Jubilee Line terminus (now defunct) as the present-day "Charing Cross." 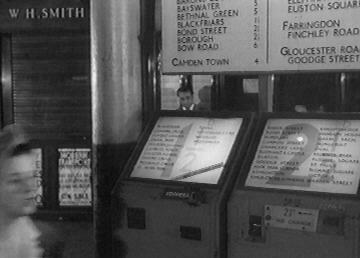 Although not clean on the second-to-last screen-grab, a directional sign can be seen indicating the route to both "Strand" and the mainline "Charing Cross" stations.